Trail Youth hosted their first brew off event. The Boots vs. Badges event was held on March 12 and March 19. The day with the most sales won a trophy and a pizza from the losing team. 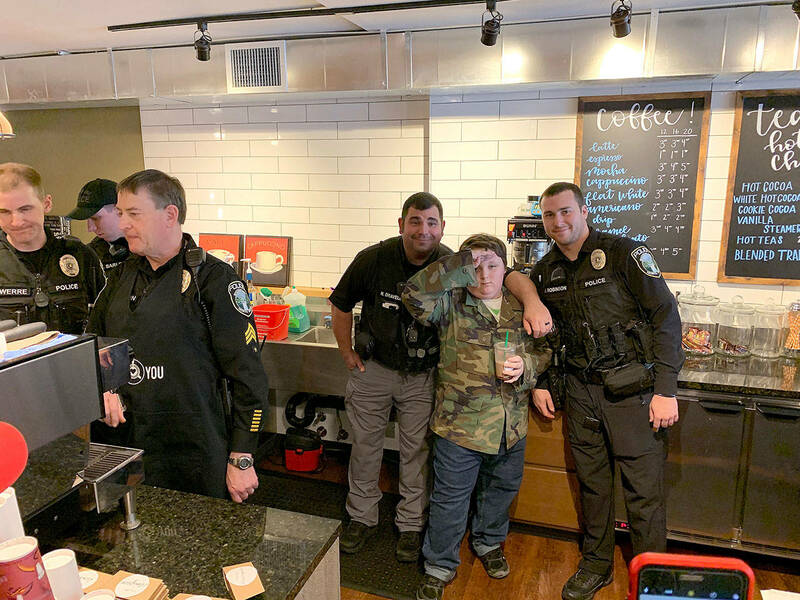 During the two separate days, police officers and firefighters traded in their job duties to be a barista for a few hours. 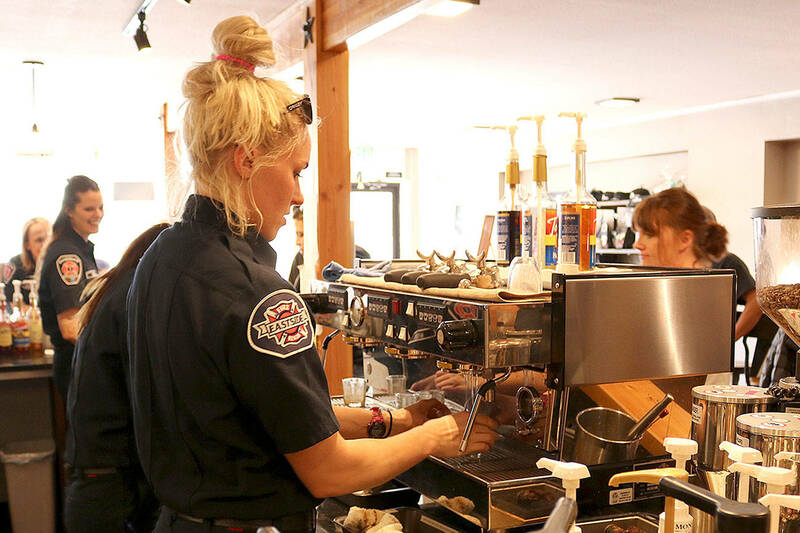 “It’s a great flashback to my past of being a barista,” Eastside Fire and Rescue firefighter Danika Lawson said on March 19. The first responders received a two-day training before serving up their drinks. Snoqualmie Fire Department firefighter volunteer Kristina Myers said the brew off was great for the “kiddos,” and how it’s especially great for them to see their first responders behind the bar so they know that they’re good people too. On March 12, the Snoqualmie Police Department served their “SnoPo” mocha and a “SnoPo” cocoa for non-coffee consumers. Trail Youth executive director Kristin Zuray said they wanted to host a fun event that would support the first responders in their community and show the kids a different side of them. The Snoqualmie Police Department won the brew off event with a total of $1,471 in sales, and the fire department raked in $1,097. The Trail Youth is a nonprofit organization that seeks to build bridges between youth and the resources available. The organization aims to help teenagers — ages 13 to 19 — by offering free mentorship, leadership development, barista training and connections. The funds raised between the two days will go back to the organization that serves 400 cups of free coffee a month to youth in the Valley.